Guided Tour of Cemetery & Robert E. Lee's home. Do you love history? Do you love the United States military? And join us on a two hour walk through Arlington National Cemetery. You'll get an informative, and friendly got to be there with you the whole way. You will get to pay your respects to this nation's fallen heroes as well as visit the famous graves nestled on the soft, grassy grounds. Come with us on a grand tour of the famous Arlington National Cemetery. You'll get to visit the graves of the Kennedys and pay your respects to this beloved family. You'll get to see President John F Kennedy's grave, Jackie Kennedy's grave, Robert Kennedy's grave, and Edward Kennedy's grave. After this, you'll head over to the Tomb of the Unknowns. Even though we don't know who the soldiers are, they are still a part of our nation's greatest heroes and their wonderful tomb is a sight to see. This tomb is guarded 24/7 to show these soldiers they are loved and appreciated. You also get to watch a very famous ceremony called 'Changing of the Guards'. After this wonderful event, you'll get to visit the memorial for the USS Maine. This ship exploded off the coast of Havana, which helped lead to the Spanish-American War. You'll get to visit the grave of Audie Murphy, as well as the memorials for both space shuttle tragedies. Are you excited yet? You should be because after all this you get to visit an old home of General Robert E. Lee. Finally, you get to visit Robert and a grave of President William H&period; Taft. Arlington National Cemetery is one of our nation's most treasured and sacred places. You'll get to see the graves of our nation's most honored heroes. Come join us on the tour lifetime. 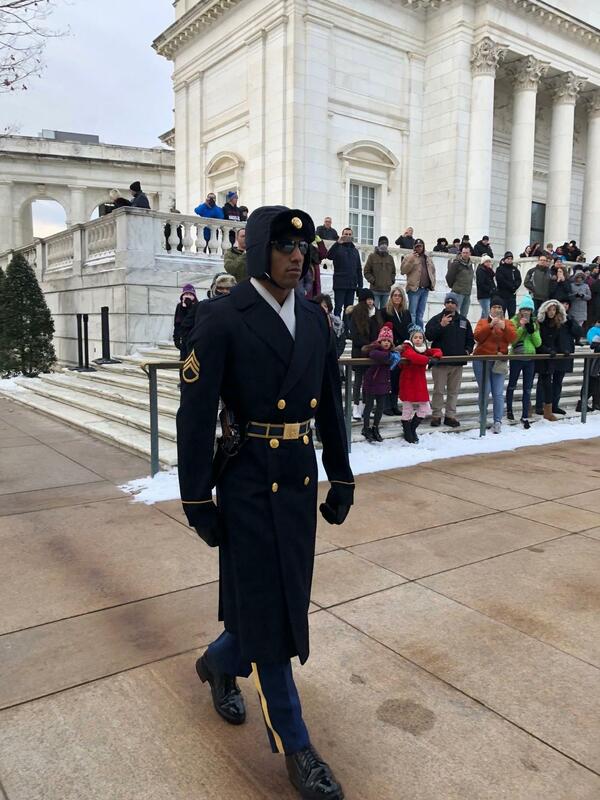 Explore Arlington National Cemetery on a 2-hour walking tour with an expert guide narrating and providing insight along the way. 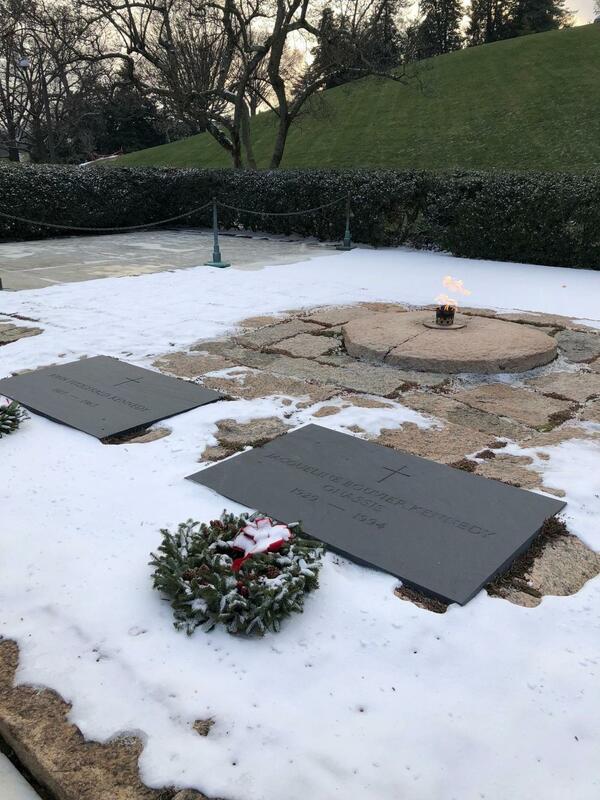 Visit the grave of John F&period; Kennedy, as well as Jackie Kennedy, Robert Kennedy and Edward Kennedy. 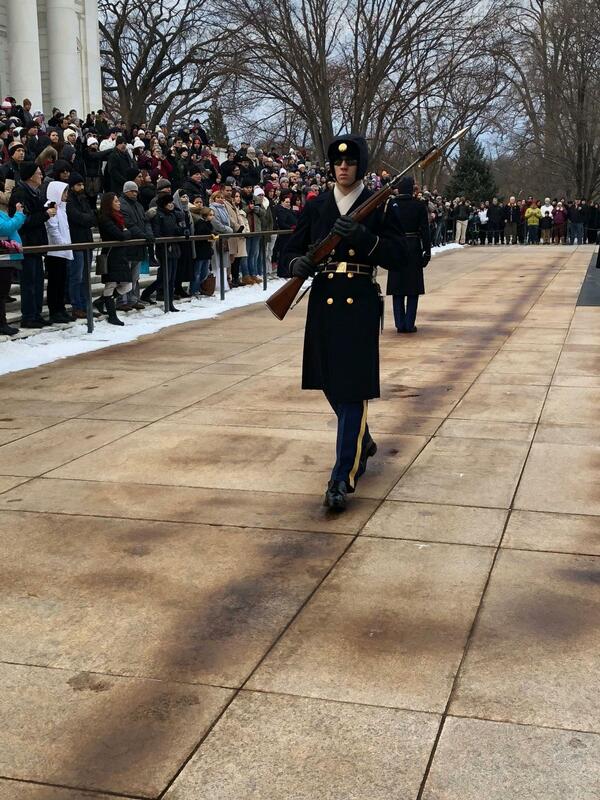 Continue to the Tomb of the Unknowns, which is guarded 24/7 to remind anyone who serves we will never leave your side, and witness the Changing of the Guards, a highly ritualized ceremony by the US Army 3rd Infantry, a top sights in Washington DC area. Following the ceremony, see the mast and memorial for the USS Maine, which, when exploded off the coast of Havana, partially led to the Spanish American War. Visit the grave of famed Audie Murphy, as well as the memorials for both of our space shuttle tragedies. Finally, visit the former home of Robert E. Lee, with a view of DC so grand that we moved Pierre L'Enfant to a tomb here overlooking the city he designed. See the largest mass grave in America in Lee's flower garden. Then continue down and visit the parts most individuals miss, including Robert Todd Lincolns grave and that of President and Chief Justice William Howard Taft. Arlington National Cemetery - Outside Main Gates.